Flat white cable with R45 ends. Specifically designed to connect Pyramid clocks and other Pyramid time synchronizing equipment. 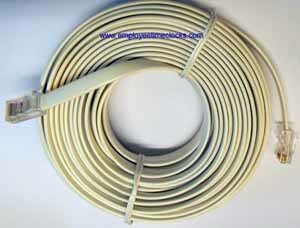 Available it 50 and 100' lengths. Connect them, extend them, with Pyramid "Y" connectors.